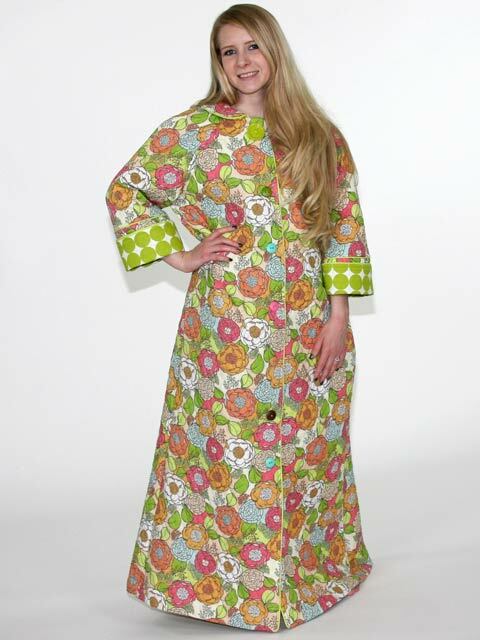 The Melody Collection - MaryJane© Luxury Robes, Inc. Please allow 2 weeks for your order to be processed, crafted, and shipped. Special orders 3-4 weeks. A harmony of fashion + form + function. 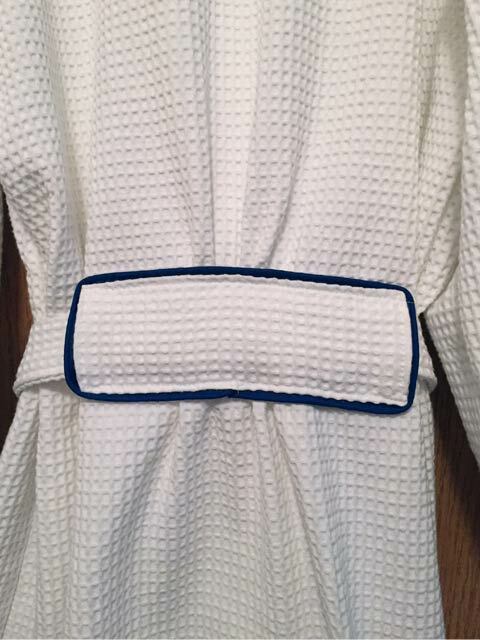 The Melody Collection features custom quilted, hypoallergenic terry-cloth, or chamois cotton fabrics designed to be custom-fitted unlike any other robe available. Remarkably soft and supple, pure contentment awaits you. A true classic. 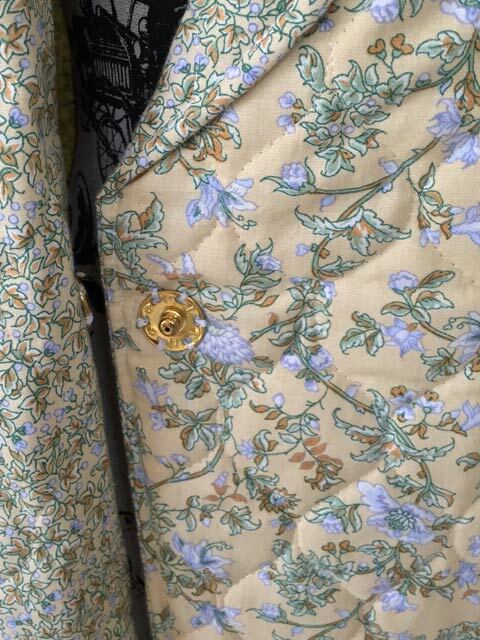 The shawl collar provides comfort and coziness. 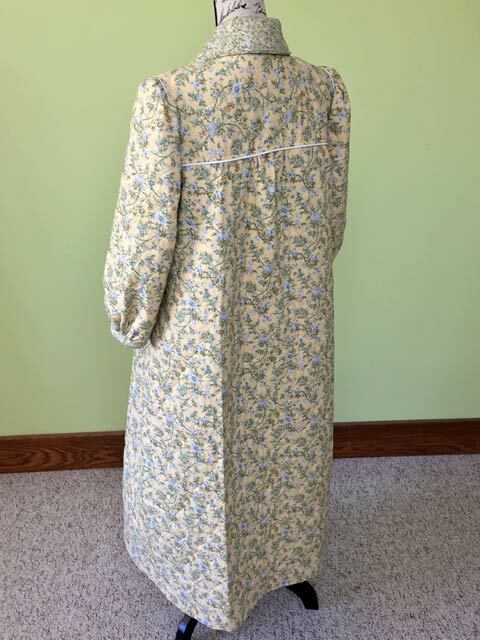 The extra attention to detail sets this robe apart from the others. The front two snap closures provides quick on and off values for the busy working woman. A slightly gathered sleeve design helps guard against the possible dragging through food and water, along with sparking a flame from a burner on the stove. 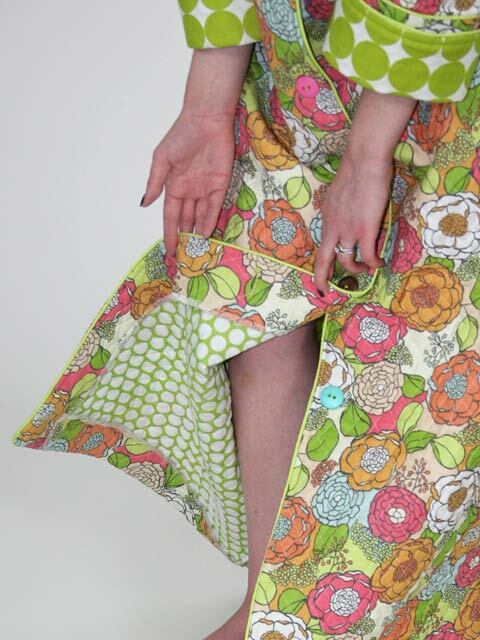 Inseam side pockets are included. Fabric Care: Machine wash cool. Delicate cycle. No chlorine bleach. Tumble dry low. Cool iron. *Seasonal prints only. Call for available prints: 260-433-4938. 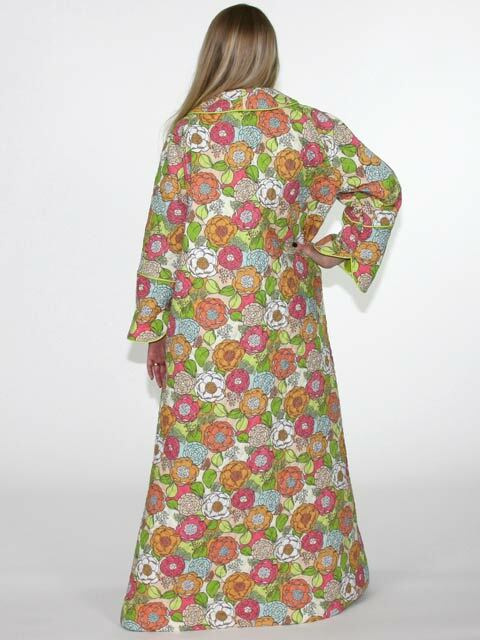 This retro style robe brings back the look we all loved and still desire. A Peter Pan collar adorns the neckline and lays flat. 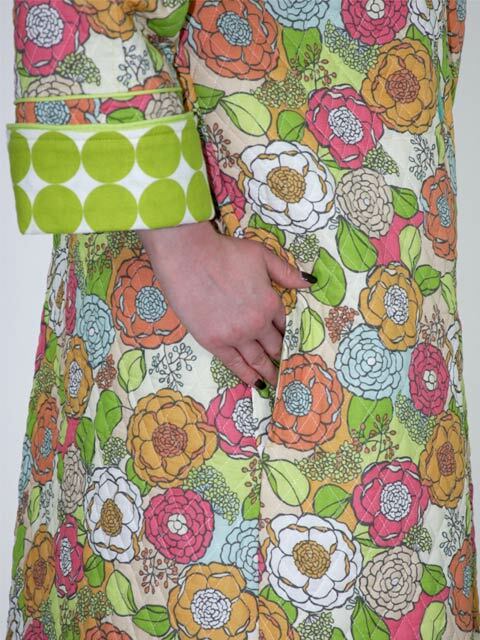 Colorful button front closure is also available as a front snap or zipper closure. The sleeves cuff up as to not drag through water, food, or gas burner flames. 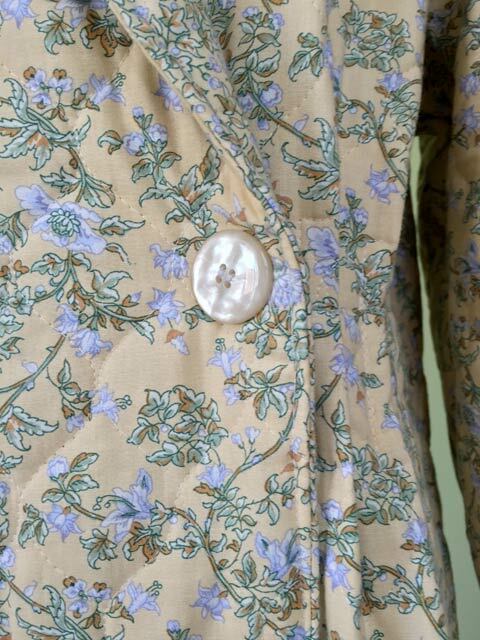 Inseam pockets are included. 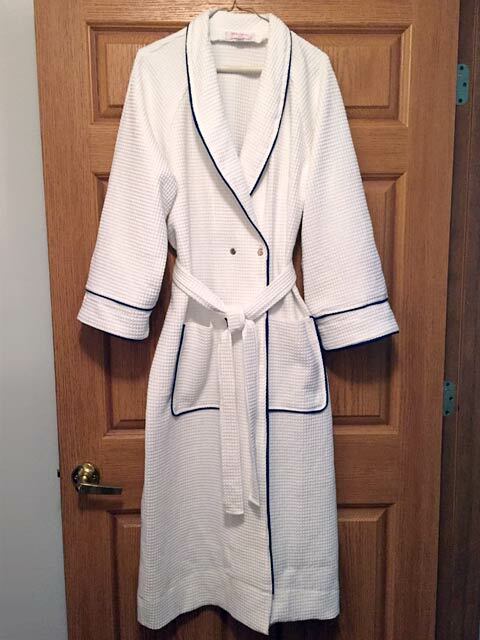 Not a standard robe! 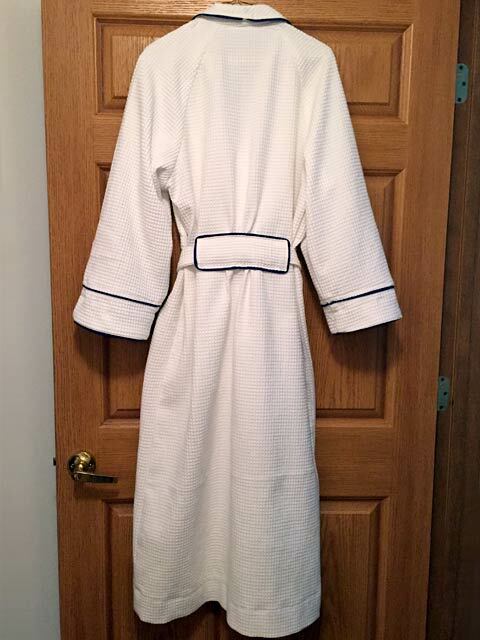 Are you tired of a wrap robe falling open? 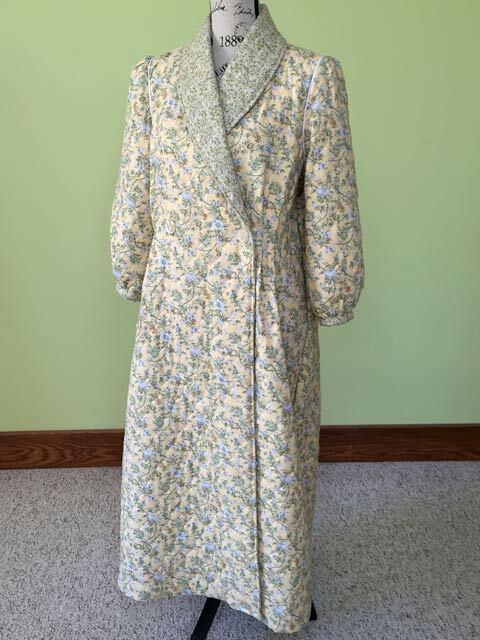 This beautiful robe features a two snap front closure if you choose to fasten it closed. The tie is secured in the back by a sleeve to gently hold it in place and have no fear of it coming loose and potentially causing you to trip. 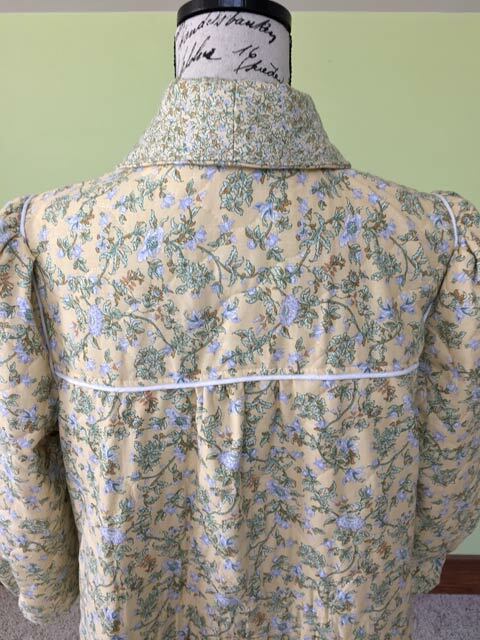 Two front patch pockets are included.